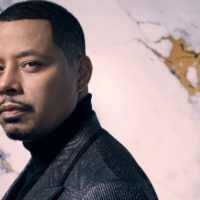 Patrick Hoelck/FOX(LOS ANGELES) — Over the weekend, Terrence Howard spoke out in support of his Empire co-star Jussie Smollett, following a week which saw the actor charged with filing a false police report in connected to his alleged assault. The post generated thousands of comments, some of them critical of Howard for continuing to support Smollett. Empire’s producers announced last week that Smollett would be written out of the last 2 episodes of Empire’s fifth season. Smollett was arraigned on a class-four felony charge of disorderly conduct/filing a false police report Thursday and released on $100,000 bond. During his court appearance, Smollett maintained his innocence, denying he staged the January 29 attack. The actor claimed he was attacked by two men who hurled racist and homophobic epithets and put a noose around his neck.